After graduating from high school, I decided to have a much different experience from the norm. I got on a plane and flew one way to Portland, Oregon. A place where I knew no person or anything going on. I lived there on and off for about 3 years, hitch-hiking around the country in between. I’ve seen every beautiful location from Washington state to Florida, New York to southern California -- the Rockies, the Sierra Nevada, the Cascades, the Appalachians. I met beautiful people all along the way and played music with countless amazing musicians. After a certain point, I knew I had to do something else with my life other than experience people. Three years ago, my mentor introduced me to the idea of Object-Oriented Programming. It wasn’t long before I was seeing the entire world around me neatly categorized into these parameters. After gaining a rough understanding of the principles behind thinking in such a way, I took an immediate 180 and moved down to south Florida to pursue a vastly different experience. 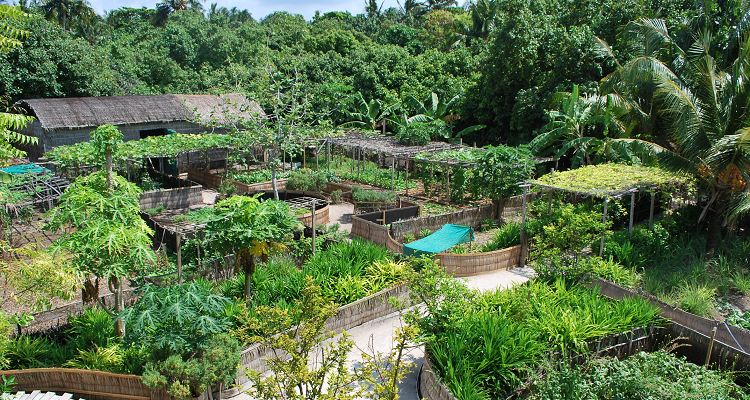 In south Florida, I became obsessed with tropical plants and the concepts of food foresting – especially Permaculture. Working on and managing organic farms was my main gig and building sustainable polyculture designs for various people my side gig, passion, and hobby. It didn’t take long before I became envious of landowners who had the magnificent ability to declare what happens with a piece of land. After doing some rough calculations, I came to the conclusion that I would not be a landowner within any reasonable amount of time if I stayed on that path. After much pondering, I realized that the computer science field is the ideal route to go. I moved to Charlotte, North Carolina to pursue the studies of computer science in a community college. I also picked up a job at a coffee shop to pay for my future courses. One day at the coffee shop, I met Melissa from Tech Talent South. After a few emails and a face-to-face conversation, I was convinced that Tech Talent South would offer many things that my college courses were not - quick learning, networking, and a vibrant culture. In fall of 2016, I became a student of Code Immersion and Machine Learning for Business! We began the course with a crash course on HTML, CSS, and Ruby. These lessons were integral to understanding what we are now moving into in the second half – Ruby on Rails! This framework makes building a web application significantly easier and quite a bit more fun. Our projects have been engaging and simultaneously informing. Currently, we are building a blogging website which ties in a lot of neat functions – and I can’t wait to see what we do next! So far, I have been thoroughly pleased with my experience at TTS. The staff is knowledgeable and highly approachable. It has been interesting networking at the various events and touring tech businesses in the area. So far I have met tons of people that I would have not otherwise met as a recluse in my personal studies. Half way done and still more to go – what an adventure!